Our family loves pasta, especially my daughter and I, so I make it almost weekly. I don't always have time to make a sauce that requires a long cooking time. Actually, a quick, light sauce can be just as flavorful as one that has cooked much longer. I have found that putting canned tomatoes in a blender and pulsing a few times, gives you a quick sauce to work with. I learned this trick out of necessity, because my boys would not eat a tomato based sauce that had chunks in it. So I've used the blender to just break up the tomatoes, whole or diced, but not puree them. It really works. The other evening, I needed a quick meal as I had 5 people to feed, instead of just my daughter and I. So, I turned to this quick pasta dish. This sauce is not a heavy, gravy type that I would use for spaghetti, but is a light sauce that clings well to the pasta. The Italian Sausage adds wonderful spicy flavor to this dish, filling each pasta tube with its goodness. Ground beef could be used instead, but it won't have as much flavor. The only thing I missed was fresh basil, but since my plants are long gone, and my grocery store didn't have any, I had to use dried. Can't wait for gardening weather! Let me show you how to make this delicious skillet dinner. NOTE: If you like chunky sauce, don't pulse the tomatoes. Bring a large pot of water to a boil and cook the rigatoni according to the package directions. Add salt to the cooking water. When done, drain in a colander and put aside. While pasta cooks, heat a large skillet over medium heat. Add 1 tablespoon, or more of olive oil. Break up the sausage in the skillet with a fork or spatula and let the meat start to brown. Add the onion and stir and let the meat and onion cook together. Lower the heat if the sausage begins to burn. Cook until the onion is soft, then add the minced garlic. Cook until the garlic is fragrant, 1 or 2 minutes more. Add in the canned tomatoes that have been pulsed in the blender, and the tomato paste or sauce. Add the Basil, oregano and sugar; mix well and simmer on low heat, covered, for 15 to 20 minutes. Remove the lid and stir in the cooked rigatoni and top with the cheeses. Remove the pan from the hot burner. Place lid back on pan and let it set for 5minutes or so, to let the cheese melt. Serve with salad and a good crusty bread. Enjoy! The Italian sausage adds so much flavor to this dish that little, if any salt and pepper is needed, in my opinion. But be sure to taste before adding the cheese to adjust the seasonings. If using fresh herbs, add them at the END of the cooking time for full flavor. Wow! That looks like my kind of meal. Pasta shock here I came! What a delightful cheesy treat! Oh. My. Goodness. That looks AMAZING!! Saving this one for sure. 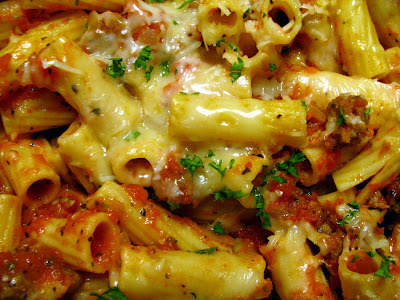 rigatoni is one of my favorite pasta shapes. 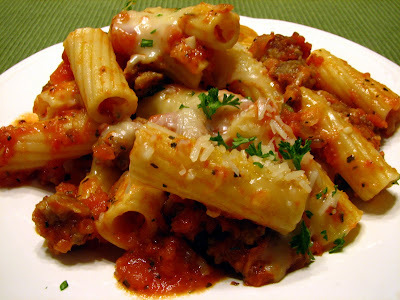 how can you ever go wrong with a combination of pasta, sausage, tomatoes, and cheese? excellent versatile dish, lynda! Making skillet meals in advance actually makes for a great weekend afternoon project that saves money and helps you to eat healthier. The meal above is really healthy – it’s loaded with vegetables and, if you cook lean ground beef and properly drain it, it’s very low fat, too. Oh this would be a great family meal on a weeknight! Looks delicious. I love pasta with lots of cheese. 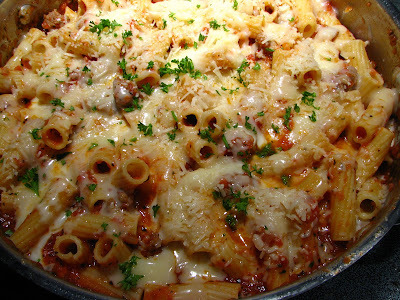 This Rigatoni looks great! This is perfect for the weekday. I also put tomatoes in the blender because my daughter doesn't eat tomatoes - only tomato sauce! Go figure. I love the simplicity and it is still packed with flavor. This recipe looks like a keeper. 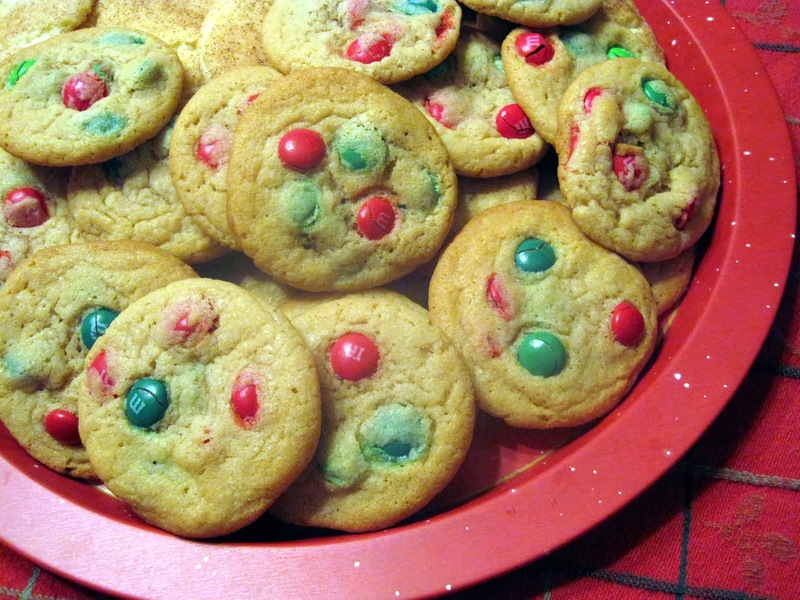 I just scanned down all of your recipes on this page and there are lots of good ones. 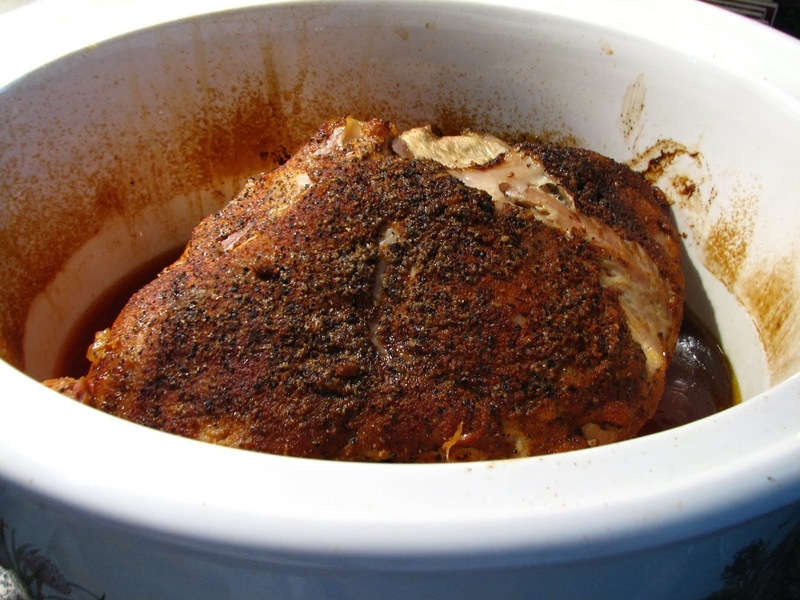 Love the pulled pork in the crock pot. This looks and sounds amazing. I can't wait to give this one a try. Have a great day. This looks wonderful - total comfort food! Ooooh, Lynda, this looks totally delicious. I so appreciate a meal that is quick and delicious like this. Thank you! I think I may actually have pasta 2 or sometimes 3 times a week in some shape or form! I can't get enough of it. This looks soo yummy! I agree, can't wait for some fresh basil. I'm craving pesto! This looks so cheesy and delicious! I love that it's quick too! 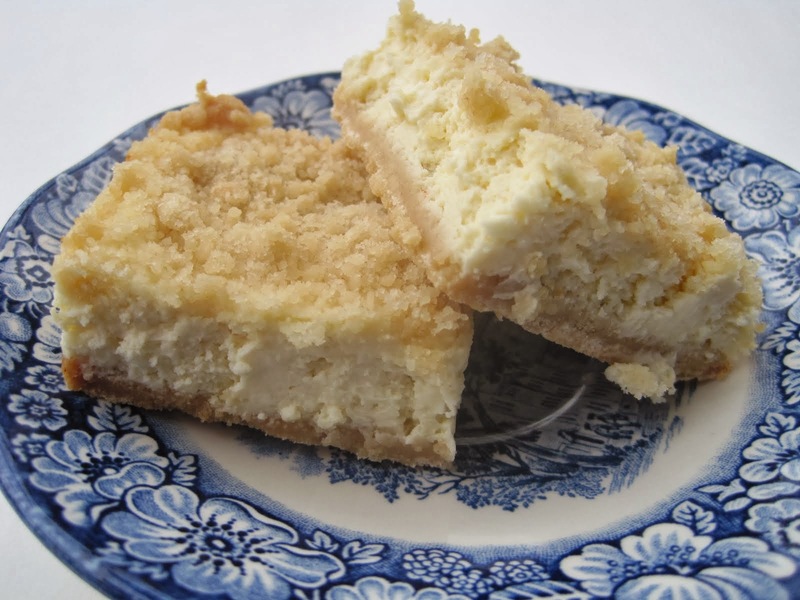 Lynda, This is EXACTLY my kind of dish and I will be making this soon! It looks delicious! Thanks! Skillet meals are the best when you're in a hurry and have a hungry gang. Looks sooo good! This looks really good! I can't wait for gardening weather, either... I've had enough of winter!! Have you tried drying your own basil? That's what I do at the end of every summer, it has much more flavor than the store bought basil. To eat this dish is my wish. Mai, I'm glad you liked this! Penne is one of my favorite pastas too.